Essie’s Ready to Boa may be from last year’s winter collection but, to me, it’s the perfect autumn nail shade. Described as a bronzed mahogany, this has a lovely warmth and is shot through with a fine metallic shimmer. I think it has a really cosy vibe. Formula-wise, it’s all good – a smooth two-coater with no streaks. And obviously I love Essie even more now we can find it for €9.99 in the local chemist. For Emily, it’s all about Chanel’s Mythique, which she included here in her seasonal faves. 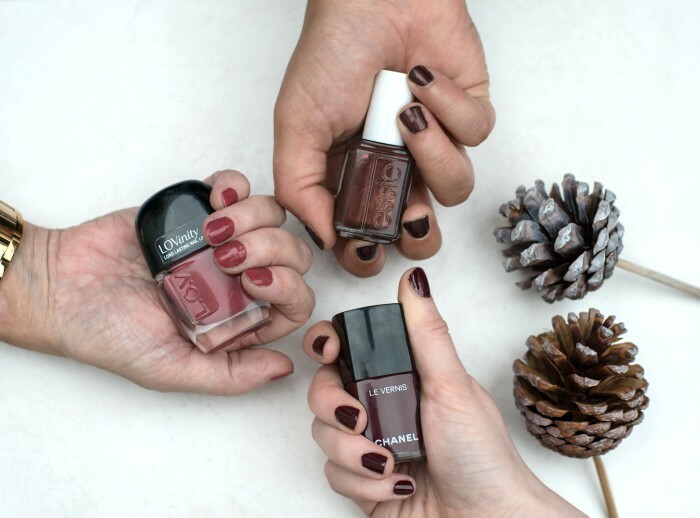 “I love using nail polish to help ease myself into a new season, it's the perfect transition piece especially if the weather isn’t quite ready for wardrobe changes just yet. 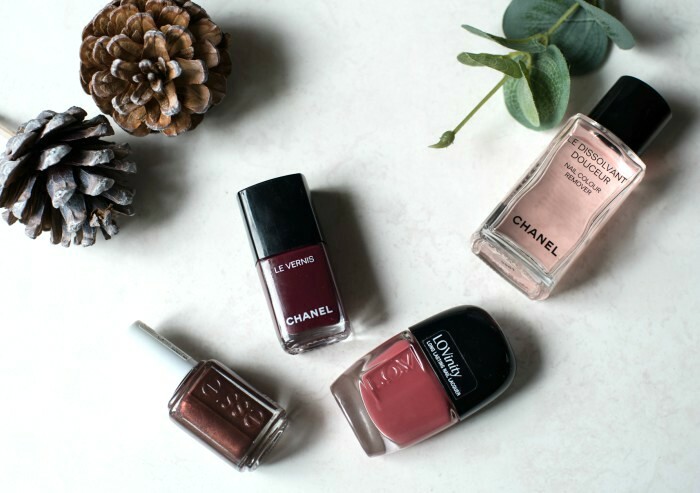 To give a nod to the changing seasons I like to shop my own make-up collection to rediscover old favourites and opting for seasonal coloured nail polishes is a dead handy way to give a nod to the progressing year without too much effort! Whereas Allsún is all about Auburn Affection from LOV. “My new favourite beauty brand has done it again. This is a pinkish brown that, on my nails, is a creamy chestnut colour that goes perfectly with any autumnal outfit. While the first coat can end up sheer in patches, two gives perfectly full coverage and brings the high-shine formula to life. What are you wearing on your nails this weather?